Diamond mining companies continue to explore promising sources in Africa and Canada, but perhaps the world’s largest diamond resource is well above ground in the U.S.: Jewelry owners. During the second half of the last century, according to De Beers’ market surveys, American jewelry buyers accounted for between two-third and three-quarters of all diamond jewelry sold at retail. And in the past five years they have been sending several million carats – numbers approaching a large diamond mine – back into the market each year. One of the largest buyers of pre-owned diamonds is White Pine Trading of New York, which handled more than 500,000 carats of stones in 2015. This will make it, by its own account, the world’s largest buyer of pre-owned diamonds. The company was created in 2010 as the world economy struggled to right itself from the financial crisis that began at the end of 2008. At the time, gold was climbing strongly in price toward $1,900 per ounce, and a flood of sellers were eager to convert their jewelry pieces – many of which often contained small diamonds − to cash. A 2010 GIA survey of the U.S. “secondary market” by this author estimated that 1.4 to 1.8 million diamonds larger than 0.30 carats (cts.) – or a total of 500,000 to 700,000 carats − were channeled from consumers back to retail jewelers, pawnbrokers and gold buying firms. The number of smaller diamonds totaled an estimated 3 million carats. There are immense numbers of diamonds in consumers’ hands. De Beers’ annual surveys conducted between 1976 and 1999 found that U.S. consumers bought a total of nearly 400 million pieces of diamond jewelry, representing 1.3 billion diamonds. Within that total there were more than 37 million engagement rings averaging about one-third of a carat. De Beers stopped publicizing its surveys after 2000, but later surveys from other sources indicate that acquisition rates have continued. Last year, industry analyst Chaim Even-Zohar estimated the “recycled diamond market” at $450 million, which represents a significant decline from the peak of 2010-12 when economic necessity, combined with extremely high gold prices and rising diamond prices, probably resulted in more than $1 billion worth of diamonds returning to the market. White Pine said its 2015 sales will total $100 million. “We believe that’s it’s extraordinary to carve such a huge niche in a market that is basically contracting,” said Myles Schakler, vice president of Diamond Melee Sales and Auctions. The company grew by networking, he said. First, it recruited agents to buy melee from gold dealers, retailers and pawnshops around the U.S. These small diamonds were mostly by-products of their gold buying activities and the company offered them a ready outlet for tiny stones for which they had no viable use. White Pine parlayed this business into buying larger diamonds – quarters-, thirds- and even some one-caraters. White Pine has expanded its buying activities to Japan and several European nations and has about 20 buying agents. It has expanded acquisition beyond pawnshops and gold buying operations to cover store closeouts, bank and estate liquidations. 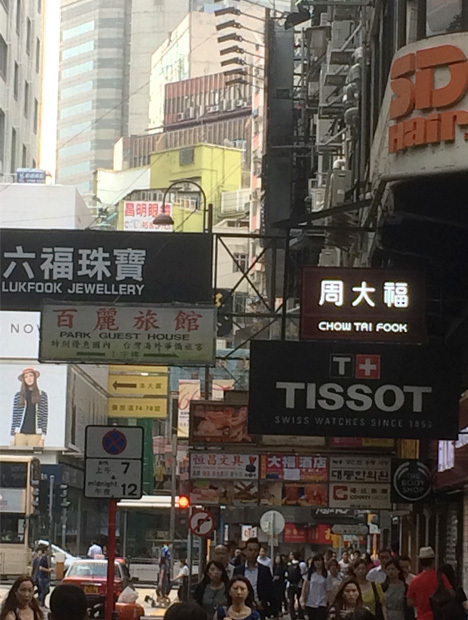 This expansion was necessary, Schakler said, because consumers are selling back much less gold jewelry than they did when the price of the metal hovered at $1,900 an ounce. The company sells melee goods back into the trade through regularly scheduled auctions in various venues around the world. Schakler notes that the melee is sold in mixed quality lots, from .01 ct. to 0.1 ct., because it is not economical to sort them further. The lots range from a total of 20 carats to 1,100 carats. He acknowledges there will be a certain number of rejection goods in the parcels. “The experienced buyers know how to factor them into their offers,” he said. The company sends diamonds larger than 0.20 cts. to GIA for grading, then lists them on trading sites like RapNet. Some of these goods, particularly older stones, have to be recut before they are sold. “In fact, it is surprising how poorly cut some goods are,” Schakler said. 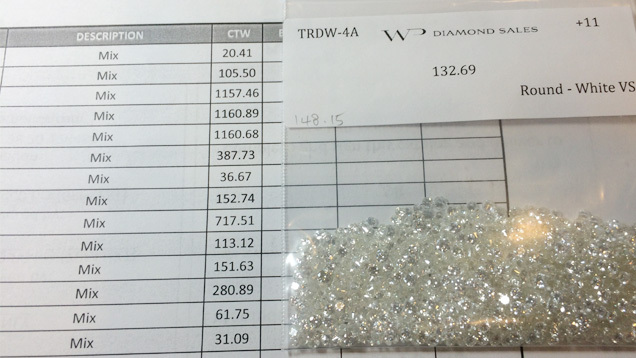 The exception, Schakler said, is very low quality diamonds, which go into the melee auctions. The 2010 GIA survey found that the majority of melee and diamonds under 0.30 cts. were purchased at steep discounts from the prevailing wholesale price and were then brokered back into the trade. Retailers who purchased larger goods from consumers or estates often paid well below wholesale, had them recut if needed, and added them to their own inventories.